Last updated 24 September 2018 . By Georgia Evans. One of Brighton's favourite pop-ups has opened a new permanent location. 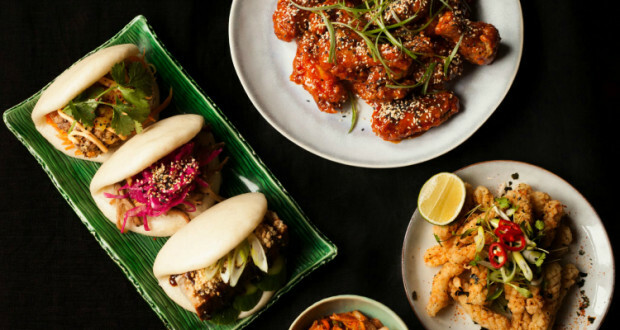 Baby Bao will be bringing Taiwanese-inspired buns to the masses from its new spot in Haymarket. Its menu includes plenty more than just steamed buns however, there are also some very tasty looking 12 hour brined chicken wings, the barbecue Korean prawns with sesame, along with vegetarian dishes such as mushroom with sweet and sour, and the gochujang macaroni cheese. For those with a sweet tooth, the deep fried oreos seem mouthwateringly indulgent, as does the malted milk cheesecake with miso caramel. Drink-wise, Baby Bao has an extensive selection of beer available and Asian-inspired cocktails such as the Tokyo Mule or the Dixie Dragon.